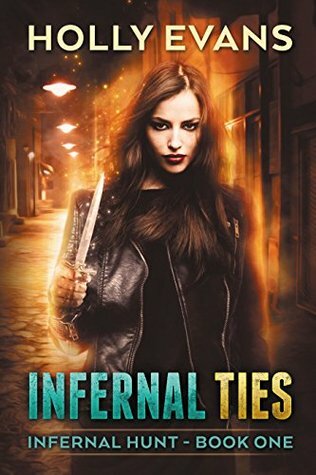 The first novella in an urban fantasy series. Can be read as a stand-alone. Evelyn and Quin Hawke are hunters who keep the Prague’s supernatural beings in line. Evelyn is a strong, grim fighter and Quin is a charming negotiator who is fascinated with alchemy. He also acquires magical potions and powders which can negate magic or heal. Evelyn hates magic and trusts only a few people in addition to her twin Quin. Now, Quin has disappeared and Evelyn is starting to first worry and then become frantic. She goes out to meet with people who might know something about her twin’s disappearance, but they just make her run dangerous errands. She’s really starting to lose her patience and she doesn’t like almost any of the people she’s forced to see. This was a fun, quick read. I rather like action heroines like Evelyn. However, she made no effort to think about the situation, she just ran from one place to another hoping to find something relevant. It seems that Quin is the brains of the duo and without him Evelyn doesn’t really know what to do, except demand answers with her fists and knives. She’s angry and grim most of the time. But underneath, her emotions are churning. She’s rude to the people she meets and dislikes almost everyone. She’s also very worried about Quin and at one point she cries when she thinks about her former boyfriend. The world-building was very interesting. I’ve never been to Prague but it was very nicely described. This world has witches, werewolves, necromancers, and various undead. It also has several kinds of fairies, including the sidhe and redcaps. Also, alchemists seem to play a big role. Evelyn and Quin are orphans and one of the people Evelyn meets hints that their parents had some secret the twins never knew. But we don’t find out more than that. Other than that, the story can be read as stand-alone. It’s described as a prequel to the Infernal Hunt so it’s nice to see a complete story. Even though Evelyn and Quin are twins, they don’t seem to share any mystical bond which was another nice change from most twins in fantasy. National Novel Writing Month is again approaching. Inkitt has a free event to all NaNo novelists called writerswrite. It will have free individual writing coaching sessions, Q&A’s with famous authors such as Andy Weir, Lauren Kate, etc. a writing buddy system and other stuff. Sounds like it could a great help! The third book in the Five Hundred Kingdoms fantasy romance series. Katya is the seventh daughter of the Sea King. The King is a sensible man and knows about the Tradition (the way that fairy tales want to impose their own way onto people and entire nations. So, he’s made sure that none of his children are idle or have cause to complain. All of them have their own careers and important duties according to their talents and interests. Katya, Ekaterina, is a warrior and a spy. She loves to travel to other places and meet new people. She also loves shoes and clothing which aren’t practical in the sea. She’s also very aware of her role as the first line of defense to her nation and family. So, she’s happy to spy. Sasha is the youngest son of the king of Belrus. As a seventh son, the Tradition takes an exceptional interest in him. Sasha is the Fortunate Fool. His family treats him badly in front of others but amongst themselves they know the very important role Sasha has maintaining the stability of the kingdom. He travels around making sure that the Tradition doesn’t twist anyone to a too bad end but at the same time he knows that the lands can’t be too safe. It’s a balance. Their romance isn’t dramatic. There are no jealous current or former boy/girlfriends, no misunderstandings that could be solved by one honest discussion, no mooning from afar because the other person can’t possibly be attracted to me or any such “romance” troupes. Nope, they just get together. Great! However, that doesn’t happen right away. Before meeting each other, Katya and Sasha have their own adventures first. Sasha is also trailed by unicorns which were very hilarious in this book. Both Katya and Sasha are quite dutiful towards their families. If the plot had been different, that could have been a tragedy. But this is feel-good romance and adventure without tragedy. The lovers are very compatible and very cute together. 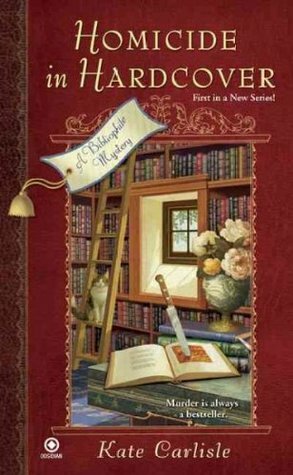 This book immediately jumped into my top courtship romances list (which is very short, anyway). However, I’d love to see them working together now that the whole courtship thing is done. The book is set in vaguely Russian nations which means that certain old witch makes an appearance. She’s the most terrifying aspect in the book. I thought this story was based on the Little Mermaid but happily, that was not the case. Instead, it does weave together several fairy tales from Japan, Russia, and Arabian Nights. That does feel a little too much at times. Otherwise, I loved this book! 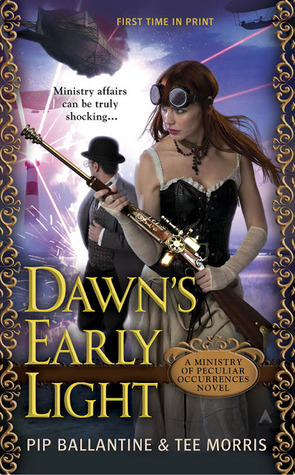 The third book in the Ministry of Peculiar Occurrences steampunk series. Our colonial pepperpot and dashing archivist are heading to the US. During the airship voyage, a mysterious man tries to sabotage the ship but Agents Eliza Braun and Wellington Books manage to stop the sabotage. Otherwise, Eliza is unhappy with the voyage because Wellington kissed her previously and she’s expecting him to continue in the same way. Instead, Wellington labors with his steam powered motorcar. In Norfolk, our intrepid agents are met by two agents from the US’ Office of the Supernatural and Metaphysical. Librarian Felicia Lovelace is on her first field assignment and she clearly doesn’t have any experience in spying, going so far as forgetting the others’ assumed names. On the other hand, her partner William “Will Bill” Wheatley is a very experienced field agent. The Ministry agents are supposed to just consult the Americans about why ocean and airships are disappearing. Soon, they uncover an ominous plot which seems to involve Thomas Edison and his inventions. I really enjoyed the steampunk elements and the inventors, Edison and especially the others. Both new agents are also rather interesting characters and they play well against each other but their role in the story made me dislike them. I also rather enjoyed the Ministry’s own mad scientists Blackwell and Axlerod. Also, the Ministry’s enemies are on the move. Almost every other chapter was an interlude focusing on a mysterious priest doing the House of Usher’s work or Sophia del Morte moving in on her newest target. I rather enjoyed these chapters as well. The story is fast-paced with lots of fight scenes. Unfortunately for me, this book has not just one romantic triangle but two. That’s right: Bill/Eliza/Wellington and Eliza/Wellington/Felicity. Both American agents start to court a British agent amazingly quickly. Eliza and Wellington are unsure about each other’s feelings and Eliza is barely civil to Wellington. So, the story has lots of Eliza and Bill going off to do mayhem while Wellington and Felicia do scouting and other spy things. So, there’s plenty of time for Bill to make moves toward Eliza and likewise Felicity to Wellington. Unfortunately, it felt very contrived to me and went on for far too long. Near the end, there are some revelations which will, no doubt, feature heavily in the next two books. It ends almost in a cliffhanger. I was thinking that I might not want to continue with this series but it seems that the jealousy and UST is now finally ended as major parts of the books, so I’m going to get the next two books, too. Top 5 Wednesday is GoodReads group where people discuss different bookish topic each week. This week, the Top 5 Wednesdays topic is Books featuring paranormal creature of your choice. Vampires are my favorite paranormal creatures. (The topic does mention fae but I just can’t think of them as paranormal creatures. They’re just fae.) It was very hard to pick out just five. There are plenty of books and comics about Spike, Angel, Drusilla, and all the other great vampires in this show, so I just had to mention it. The great granddaddy of the genre still holds up. Mira is a 600-year old vampire and she has a natural talent the other vampires don’t have: she can control fire. The other vampires hate her so she’s a loner. Lestat and Louis, need I say more? 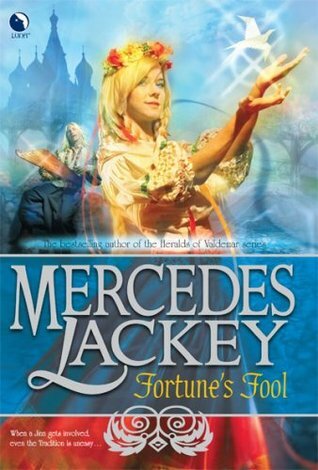 One of the first urban fantasy series which is still very good today. The first book in an action and adventure series. Poppy McVie is a new US Fish and Wildlife Service Agent. In fact, she still has a little bit of training to do when she’s assigned to her first undercover job. Poppy is training with an old agent in Michigan. She’s relentlessly tracking down bear poachers when her boss calls her and she has to return to service headquarters. She’s nervous at first that she’s going to be fired, but to her amazement given her first undercover assignment. However, she’s less thrilled when she finds out that she’s been given the mission because of her gender. Agent Dalton’s backstory calls for a wife. 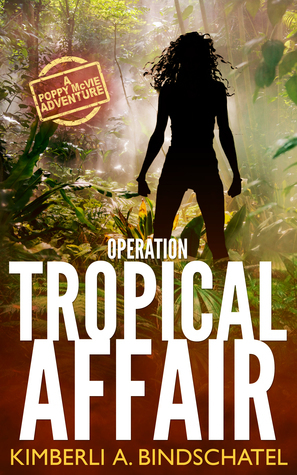 Dalton is in Costa Rica tracking down a local wildlife smuggler and seller. Two other male agents are there, as well, but one of them hasn’t reported in when he should have. Poppy’s boss gives her strict orders to obey Dalton and just play the rich wife. Poppy thinks that Dalton is going to be a middle-aged agent but much to her surprise and delight, he turns out to be hot ex-SEAL. However, Dalton isn’t thrilled to see her and just orders her to hang out at the beach and stay out of his way. But Poppy is very smart, dedicated, and ruthless when she has to be. So, she investigates on her own. Poppy is passionate about catching and convicting animal abusers. Unfortunately, as a US agent, she has no jurisdiction in Costa Rica. But that doesn’t stop her. She investigates on her own and puts herself and Dalton in danger by doing so. In fact, she’s rather reckless and sometimes I wondered if she was too trusting. Also, she clearly doesn’t respect her superiors because she doesn’t obey their orders. Her poor judgement skills put her in danger a couple of time but she’s able to save herself with quick thinking. Dalton is an ex-SEAL and somewhat a loner type. He doesn’t know Poppy and he doesn’t trust her. He has a mission which he’s focused on and Poppy is an unknown element. In other words, he doesn’t trust her training as a fellow agent. He also comes across as liking Poppy as an attractive woman but keeping her at an arm’s length. There’s another very handsome man whom Poppy is interested in and whom she trusts rather quickly. There was some jealousy between him and Dalton which I thought was absurd. Similarly, near the end Poppy was jealous about Dalton which was also absurd. So, while most of the romance bits were ok, I didn’t really care for the whole jealousy aspect. Overall, this was fun, well-paced book with lots of action. There’s also a grimmer theme under the fun story, about how animal poachers and smugglers would be out of business without their clients.